Enter your criteria using a pull-down menus and press submit! 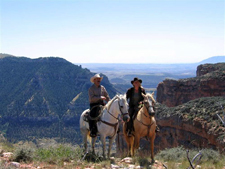 Welcome to our horseback riding vacation website. Here you will find over 400 exciting equestrian tours all over the world with detailed descriptions, slide shows, videos, trip reports and more. To make it easier for you, we have created a "TripFinder" where you can search for your horse vacation of a lifetime by entering the type of ride, the location, time period or riding level. Or you can go direct to the country (Continent, Country ...) or the riding type ("Tours"). - If you are interested in other outdoor activities like walking tours, biking trips, sea kayak or maybe cruising the Galapagos Islands - go to our Outdoor Adventure Page. ie a "Horse Drive", you can just select this section and select your trip from there. Of course you have then the option to narrow it down further to the different countries. We always give you the option to use other filters like "riding level" , "trip dates" or "price level". If you are considering a special horseback riding or outdoor vacation anywhere in the world, call us first and let our experienced staff match the perfect holiday with your dream. We will listen to you, and take the care to help you choose the best destination and adventure holiday. A little piece of heaven; this is a special equestrian holiday getaway at this classic four season resort located in the heart of central Vermont’s Green Mountain national forest. Majestically set on 700 acres with sweeping views of a mountain lake and forests, we offer an endless array of outdoor adventures, ideal for singles, couples and families - there’s something for everyone. Overnights are at a country inn with numerous facilities and superb dining. The Equestrian Center comes alive in spring, summer and fall catering to the experienced horseman and the novice rider.